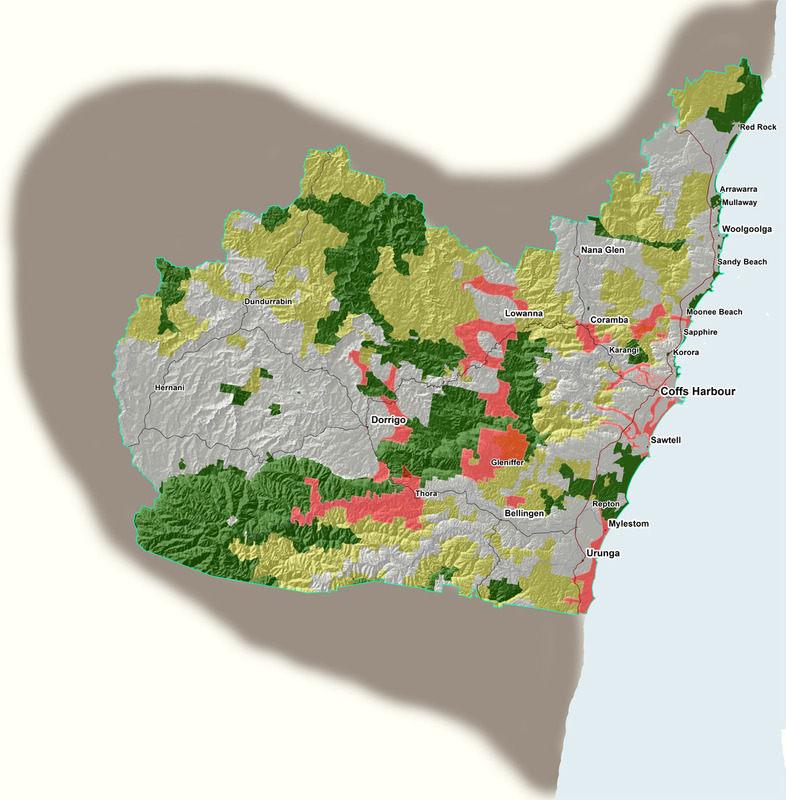 In terms of intact habitat, very few places on the east coast of Australia support a connected landscape that spans from the coastal plain to the Great Dividing Range and its associated Great Escarpment. The Jaliigirr Biodiversity Alliance area is one such place, and is unique in that it incorporates 102 threatened fauna species, 50 threatened flora species, 13 endangered ecological communities, and the World Heritage Gondwana Rainforests of Australia. These outstanding biodiversity values occur within a highly modified and complex landscape, where a diverse range of organisations, government agencies, primary industries and communities co-exist. Through working together we deliver numerous large, multi-partner projects across a region spanning 337,000 hectares. To find out more about where we work and what we do, click on the red landscape connections on the map or use the priority connections links at the bottom of the page.